an extension to the Mister Nano Reef Instagram account @misternanoreef! Feel free to follow me there for daily updates about my reef tank. related to keeping a successful saltwater aquarium. 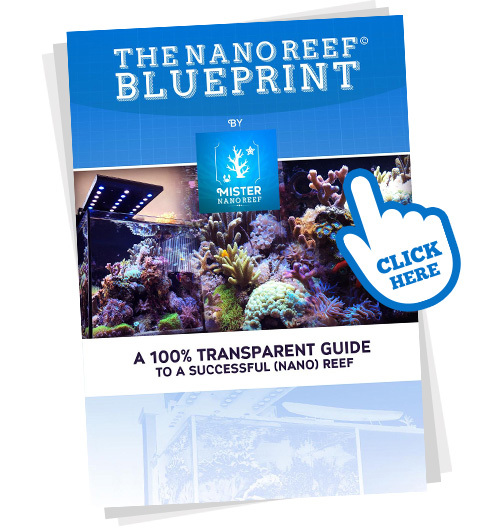 After a lot of hard work I am very excited to release The Nano Reef Blueprint by Mister Nano Reef ! More info about The Nano Reef Blueprint? Click the image below. so we can all enjoy a thriving reef tank together! Polyplab asked Mister Nano Reef to join the ReefPro club @ Polyplab as the first international ReefPro!